Hi, I’m Ellen Fagan, Owner of Steam Clean My Carpets, LLC. Welcome to my website! Do you have dirty carpets that you would like to freshen up and make them look & feel great again? How about your rugs? Could they use some deep cleaning to take that dull look away? What about that tile and grout in the kitchen? Remember what it used to look like? Would you like it looking like new again? Maybe your furniture upholstery could use a good cleaning too? 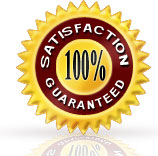 We do all that and more while giving you an exceptional cleaning experience and most importantly – I stand behind my work 100% by offering this guarantee, “You will be delighted by our quality cleaning or it’s FREE!! See those tabs over on the left? Please click on them to learn more about our services. You may want to start at the top tab to see our Monthly Steamer Specials, Rotovac 360 demonstration, before and after pictures, customer reviews, videos, and much more! After you’ve seen the Rotovac 360 scrubbing action I am sure you will want to schedule your appointment or get a quote. Once again, I guarantee you won’t be disappointed. And I mean I guarantee it – if you’re not delighted with our quality cleaning – it’s FREE! Please call us today at (407)920-8754. We look forward to working with you. Fun Facts: Maitland, Florida is in Orange county. It had a population of 14,172 as of 2006 per Census Bureau. The town is named after Fort Maitland which was built in 1838. It is home to the Art & History Museums which includes the Maitland Art Center.